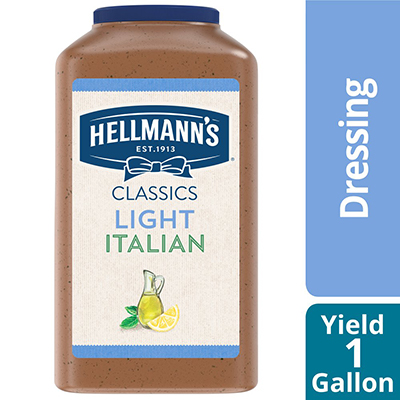 Hellmann's Light Italian Salad Dressing offers premium quality with shelf-stable convenience. This gluten-free salad dressing is also versatile, with alternative applications ranging from marinades and dips, to glazes and finishing sauces. Hellmann's Light Italian is ideal for mixing with crispy fresh greens to create an innovative salad/salad bar.